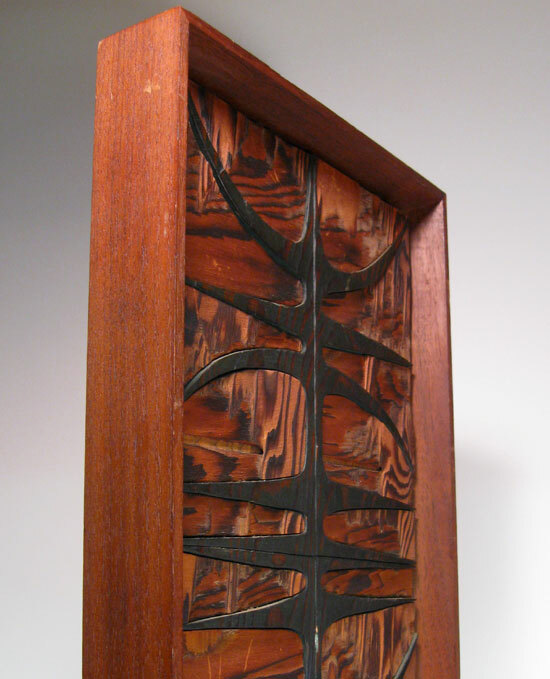 This abstract wood composition is offered at Objects USA in San Diego for $2100 (at the time of this post). It was created from plywood that has been burnt to expose various layers of ply. The dark inlayed areas were colored with manganese blue oil paint that was rubbed into the wood. 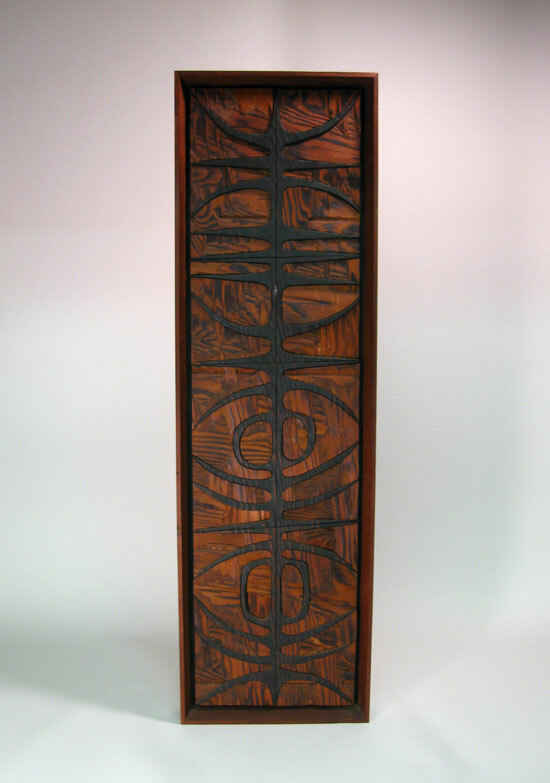 This piece was featured in Dona Z. Meilach's 1968 book "Contemporary Art with Wood". Ever since I stumbled across this panel from Robert Pierron (1919-2006), I have been on the look out for more of his work. To date, I have been unsuccessful at finding any other items created by him, however I did locate an article about him in the Chicago Reader; which you can check out here. Robert mainly worked as a jeweler, but did create some wood sculptures during his career. From what I gather, he probably created this piece for the "Woodwork Corporation of America", as the article states he created a series of abstract panels for them. It sounds as though he was a bit of an eccentric, who since retiring in 1984, spent most of his time making masks from junk he collected.